It's time for Ford to go back to Le Mans. A P2 effort seems likely, but what really needs to happen is what you see above. The new Ford Mustang needs to saddle up in GT350 guise and battle in the GTE class against the big guns like Corvette Racing. Here's my case, in a nutshell. The case, in detail, is over at Road & Track. 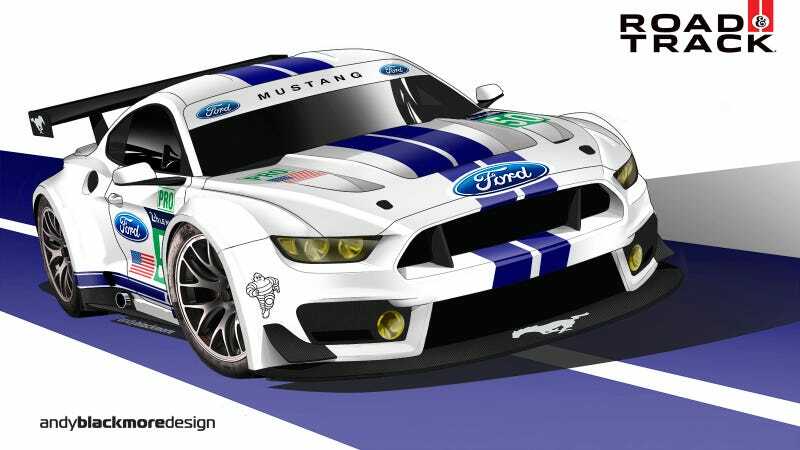 Also, thanks to Andy Blackmore for the illustration above, which only makes me want to see the Mustang at Le Mans even more.